The Goodyear Tire & Rubber Company has revealed two innovative new concept tires at the 86th Geneva International Motor Show that could literally reshape the future for autonomous cars. 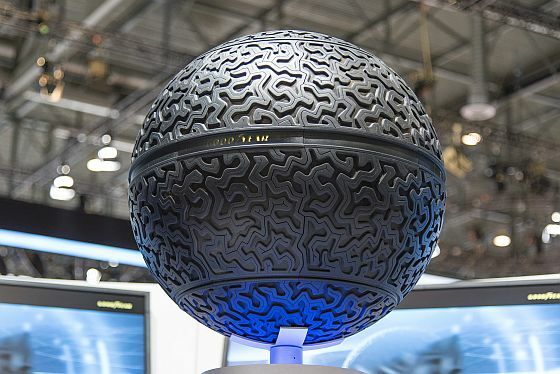 The concepts: the spherical-shaped Eagle-360 – a future-oriented tire – was designed with key features of maneuverability, connectivity and biomimicry for autonomous mobility, while the IntelliGrip, featuring advanced sensor and treadwear technology, is a solution for the earlier adoption of self-driving vehicles. Both tires are designed with safety in mind, which according to recent studies, is a key concern among consumers around autonomous vehicles. They reflect Goodyear’s focus on anticipating the rapidly evolving needs of its customers. Maneuverability: The multi-orientation of the spherical-shaped tire allows the car to move in all directions, contributing to safety for passengers, as well as coping with space limitations such as tight parking lots or city streets. Connected via magnetic levitation: The tires would rely on a magnetic levitation system to suspend the car resulting in a smooth, quiet ride for the passenger. The Goodyear IntelliGrip concept tire is designed to communicate with autonomous vehicle control systems, sensing road surface and weather conditions for improved driving safety and performance. Senses road conditions: Thanks to its advanced sensor technology and specially designed tread, the concept tire can sense many road conditions, including both surface and weather conditions. Active-wear technology: The IntelliGrip also uses advanced active wear technology to assess the condition of the tire and the vehicle. Custom algorithms: Goodyear-developed algorithms account for variables such as inflation pressure and tire temperature. Adapting to road conditions: When the tire senses a rainy or slippery road surface, the autonomous vehicle will adapt its speed. Additionally, the tire can shorten the stopping distance, provide a better cornering response, optimize stability and even support collision prevention systems. 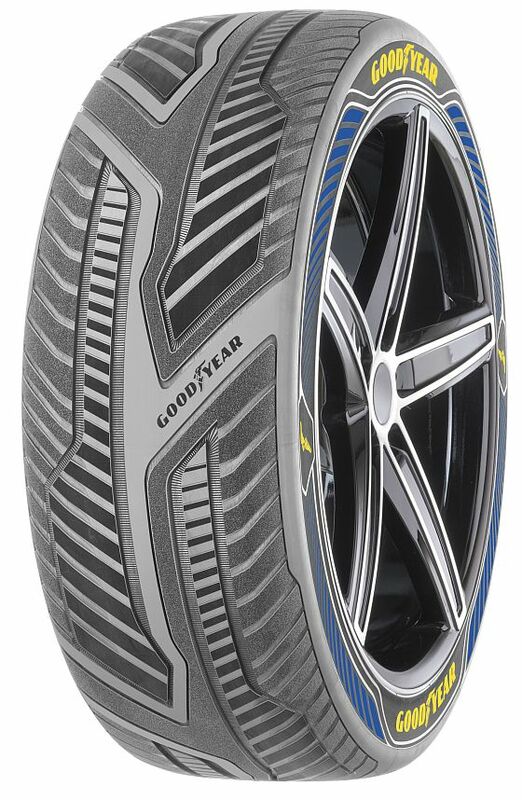 Although these tires are future concepts, Zekoski says they represent an essential aspect of Goodyear’s innovation strategy and its vision for smart and safe mobility.